Since the presidential election, Hillary Clinton sightings have been few and far between. And yet, the elusive former presidential candidate made a public appearance at what many consider a safe space, the theater. Hillary and Bill Clinton, along with their daughter Chelsea, made their way through the New York city crowds to see the closing show of 'The Color Purple,' a musical focusing on the perseverance of a woman who has been knocked down by life. According to the Washington Post, audience members spontaneously erupted into applause and treated the former New York senator to three standing ovations. The audience response was very different from the one vice president-elect Mike Pence received back in November when he attended 'Hamilton' and was met largely by boos, with cast members delivering a monologue pleading for a tolerant administration. Trump later called 'Hamilton' overrated. 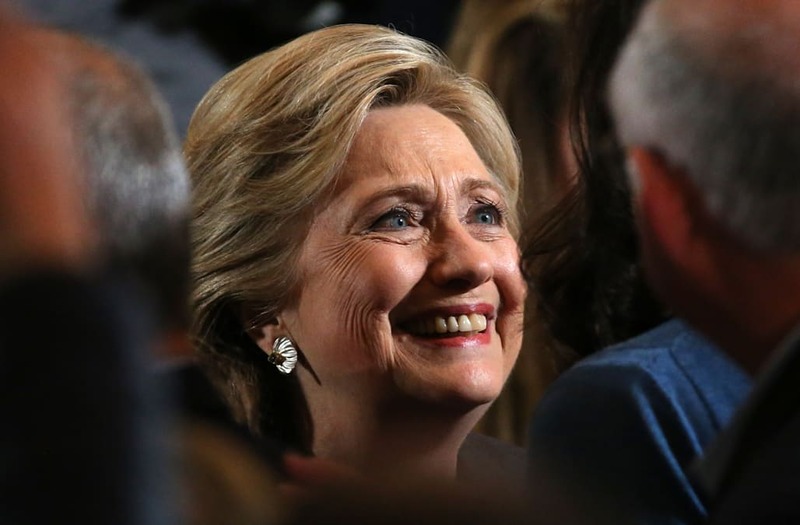 Clinton's most recent sighting comes at a time when many dejected supporters are hoping for a comeback with Hillary running for New York city mayor. However, according to political pundits, don't count on it.